Thanks to Reef for sponsoring this post. I love shoes. And in the summer, I’m all about that easy breezy life. That’s part of the reason these Reef Rose TX slip ons are one of my go to shoes this year. 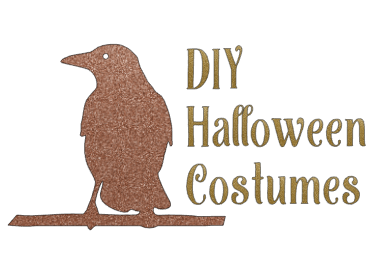 It’s kind of like wearing a ballet flat, but different. More casual. Don’t get mistaken though. While the Reef Rose TX are casual, they can easily be dressed up to business casual. They’re so comfortable and make a great travel shoe. Being so lightweight, they don’t take up much room in your suitcase or carry-on, and won’t push you over the weight limit either. Your feet will thank you after a day of sightseeing or shopping. 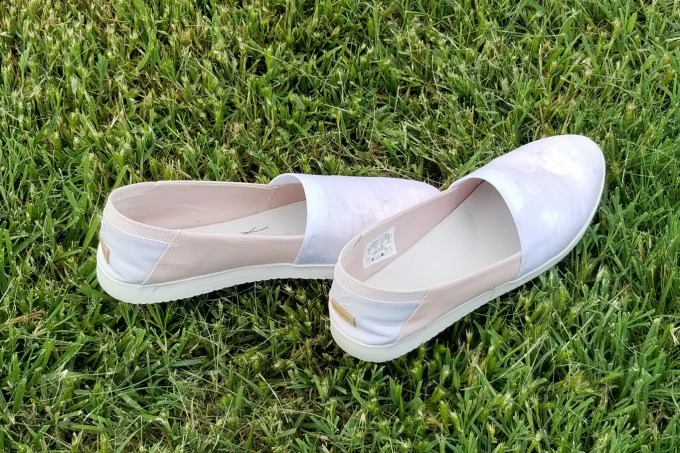 Even better, these oh-so-comfy slip-ons will take you from breakfast through your midnight walk on the beach without having to worry about style or comfort. The tie-dyed print makes for an interesting, yet subtle pattern. I’m sort of known for loving wild and crazy shoes, and these have a fun pattern without being too “look at me! !” The great blue/pink/grey shades almost read as a neutral, and really, is more watercolor-esque than tie-dyed. The elastic vamp accommodates all types of foot shapes and widths. It never felt like it was compressing my feet. Reef is known for their great insoles, and these are no different. 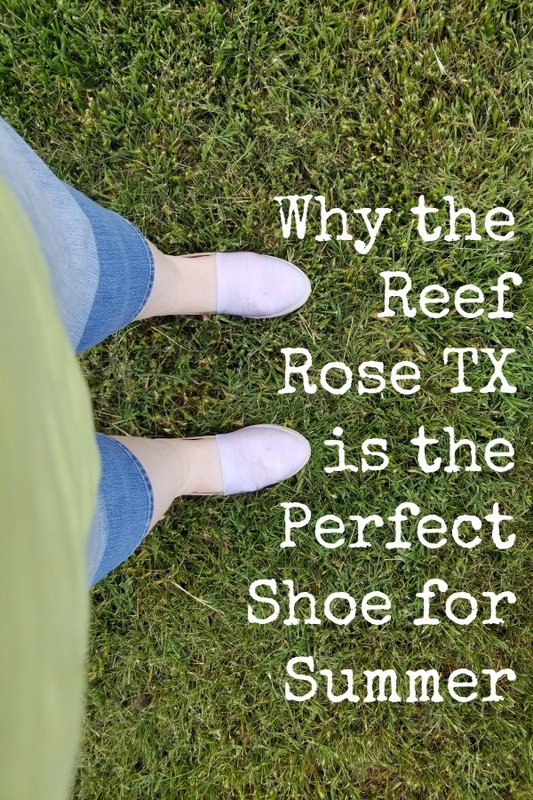 With a great built in arch support, and super comfy cushioning, the Reef Rose TX help to alleviate foot fatigue that sometimes sets in. These are really lightweight, yet really sturdy. One caveat – this particular Reef Rose style seems to run on the larger side. So, you’ll probably want to size down, especially if you’re in between sizes. Growing up in SoCal, Reef was one of the brands that I always wore. They’re an iconic surf brand that’s known for their amazing flip flops. They’ve stayed true to their roots that made them what they are today yet expanded their empire at the same time. 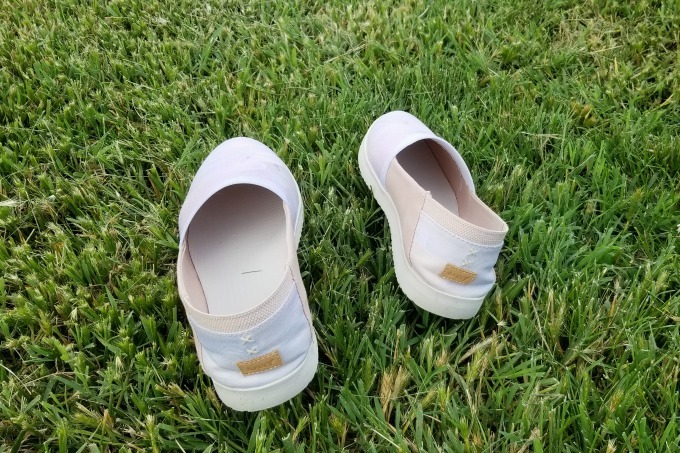 Reef shoes are well made, super comfortable, and geared toward the fun loving, beach going, celebrating the outdoors personalities that put the brand on the map. They don’t just talk a big game, either. They’re actively involved in initiatives to help clean up our oceans and our beaches. Partnering with organizations like Surfrider and Urban Surf 4 Kids, Reef is making sure that everyone can enjoy the beach. Cool styles, fantastic comfort, and a commitment to do good? Yeah, Reef is a brand we can definitely get behind. I used to only wear their sandals. I would wear out a pair and then another. I’ll have to try these slip ons!